If you have done any research at all on appropriate reading programs for dyslexic children you have come across the term “Orton Gillingham” reading programs, which are hailed as the holy grail of instruction methods for these children. When I first began researching this same topic, I kept reading about the “Orton-Gillinham” reading curriculum for dyslexic children, and I knew this is what my son needed, but I could not figure out exactly what that meant. If your like me, you wanted a little more information on exactly what this reading program looked like, and just how different could it really be from the normal classroom instruction? The answer to that question is that the regular classroom reading instruction is very different than the very tactile reading instruction provided in an Orton-Gillingham instruction program. You will find that there are literally hundreds of “Orton-Gillingham” based reading programs available for sale on the internet but be very careful, not all reading programs available for sale on the internet are quality programs. Therefore, parents must do some research on reading curriculum programs when choosing a program for homeschooling. 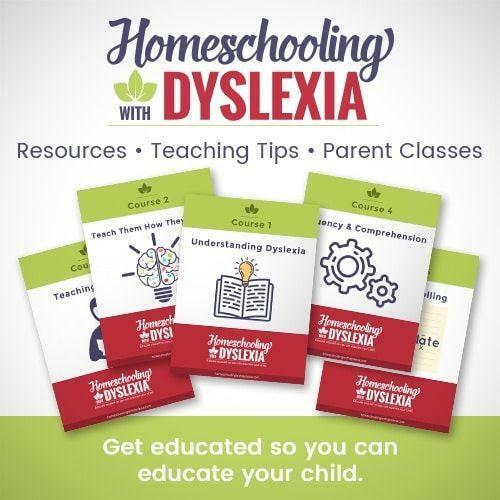 If you are looking for a homeschooling reading program to help your dyslexic child learn to read at home, you have several good options that make it relatively easy for busy moms to help their dyslexic students learn to read on pace with their peers. First of all let me say this, if you are intelligent enough to home school your child, you are more than capable of making your own “Orton-Gillingham” based reading curriculum at home if you learn the basics of multi-sensory, tactile learning methods. However, if you are limited on time, or prefer the convenience of a very detailed teachers manual, and pre-printed materials then a good Orton-Gillingham program for home-schoolers use is probably the best bet for you.